Provident Behavioral Health’s Young Professionals Board invites you to join us for our 4th Annual Rooster Crawl in Soulard on Saturday, June 15 from 2-7pm. 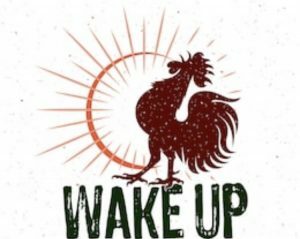 The rooster symbolizes a wake-up call to starting conversations, building awareness and supporting the improvement of mental health in the St. Louis region. We invite participants to dress in pajamas to support this wake-up call. A prize will be awarded to the participant voted “best-dressed” by Provident’s YP Board. The Rooster Crawl raises funds and awareness for Provident Behavioral Health’s mission of building brighter futures through exceptional behavioral health services, especially for those with the greatest need. The cost to attend is $30 which includes a t-shirt, giveaways, and food at the post-party at Great Grizzly Bear starting at 6pm. Discounts will be offered at each location with a crawl wristband. A list of participating bars and specials is coming soon! Click here to register and join us on June 15! Since its inception in 2016, this initiative has raised nearly $7,000! This will fund 346 life changing and life-saving crisis hotline calls. We know that 33% of our calls are from suicidal individuals. This funding could save 114 lives! With your support and participation, we can continue to change and save lives every day. The Young Professionals want to ensure everyone has a safe ride home. If you or a friend will not be drinking but would still like to attend the pub crawl and support Provident, you can attend at a $25 reduced price. Designated drivers will not receive the crawl wristbands but admission still includes a t-shirt and post-party. Donations of any amount are also accepted and appreciated.